Picking grapes and berries manually takes a lot of time, making it very cost inefficient. 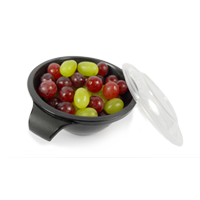 The Pluckr is the first device that automatically picks grapes and berries without damaging the fruit. 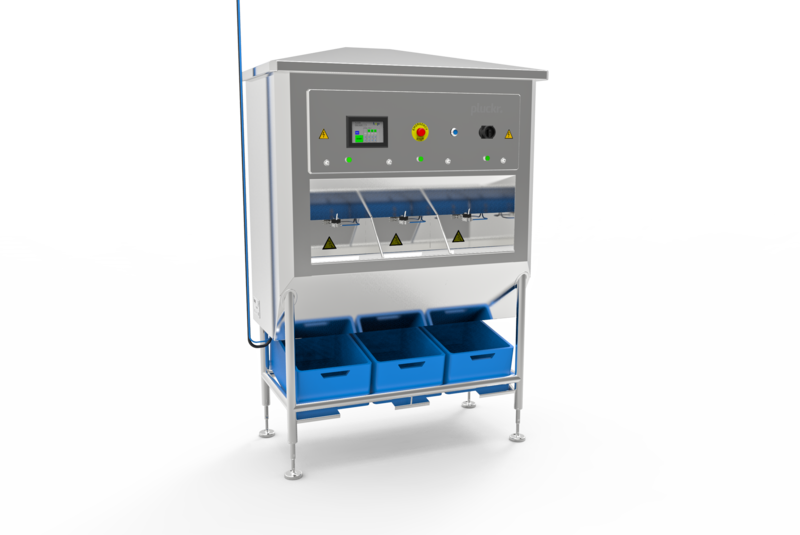 There are three versions available with one (PR1), three (PR3) and six (PR6) heads, with different capacity in kilos per hour. 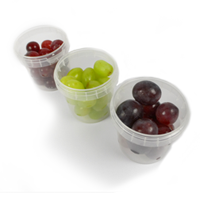 Packing the picked berries and grapes in a sealed tray or cup in combination with AMAP technology can increase the shelf life up to 4 weeks. Find out the possibilities for you! 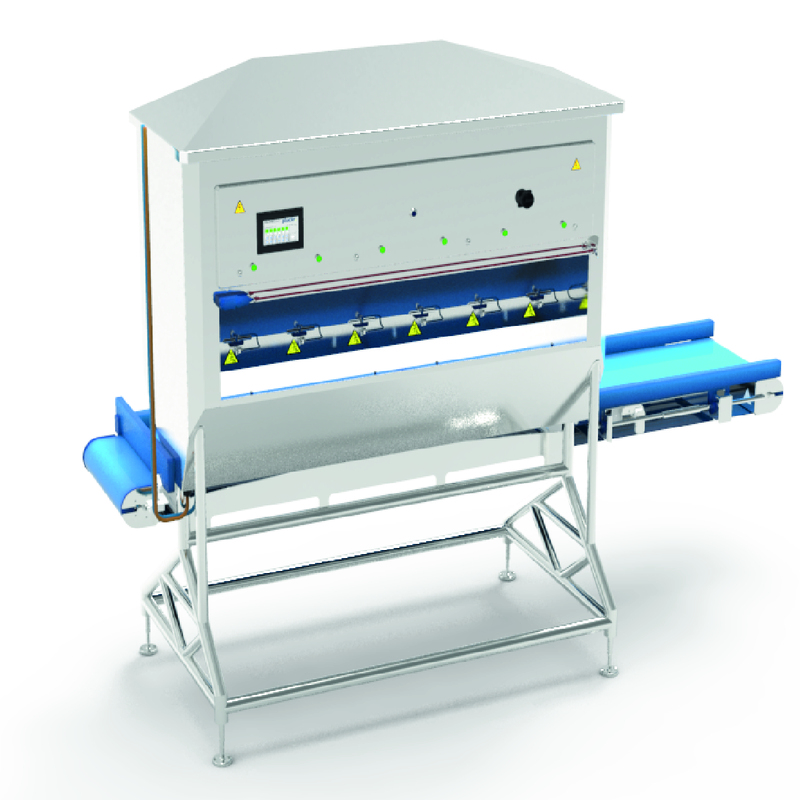 The Pluckr PR1 is the smallest of the Pluckr family and can destem 80-120 kilos of grapes per hour. The PR1 is semi-automatic and designed especially for small producers, wholesalers, greengrocers and merchants. 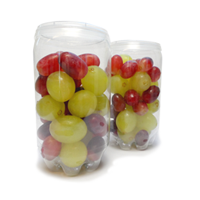 The Pluckr PR3 is designed as a standard model and can destem 250-350 kilos of grapes per hour. 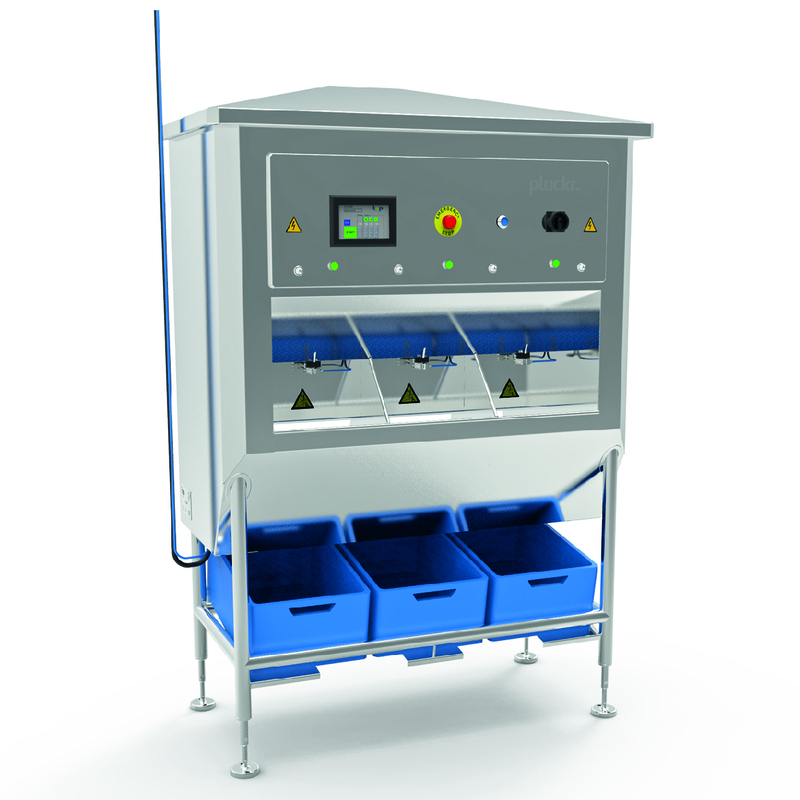 The PR3 is fully automatic and is suitable for most medium sized fruit producers and fruit processing companies. The Pluckr PR6 is the biggest machine of all Pluckrs and can destem 500-700 kilos of grapes per hour. 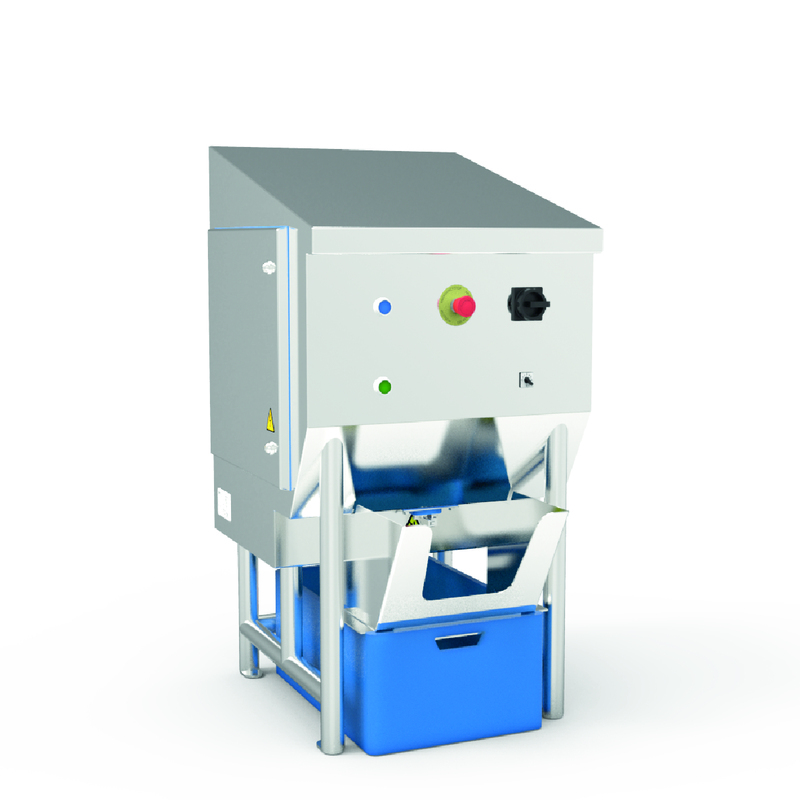 The PR6 is fully automatic and is designed for the more heavy users in the fruit producing industry. Freshly picked; a world of opportunities! Although TOP b.v. is responsible for the development of the Pluckr automatic grape picker, Like Fresh b.v. is responsible for the manfacturing, supply, maintenance and service of the machines. Like Fresh b.v. is a supplier and producer for the food producing industry. Like Fresh provides clients with complete solutions, mainly in worldwide fresh-cut fruit and vegetable business. 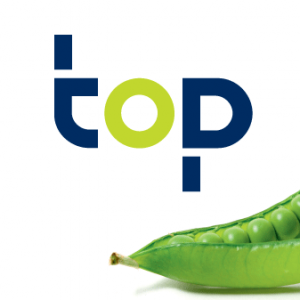 TOP b.v. is an innovative service provider in the area of product development (food design), equipment and process development. The main specialism of TOP b.v. is development of new (processing) technologies and using these technologies to make new sustainable, tasty and healthy food products.